A quality gun belt is one of the most important pieces of equipment that every gun owner needs. Many people overlook the importance of a quality gun belt. Don’t be one of those people. Your gun belt is what keeps your gun’s holster securely fastened to your preferred position on your hip. Skimping on the quality of your gun belt would be akin to putting cheap tires on your hunting truck. They might get the job done under normal driving circumstances, but as soon as you really need them to get through some rough terrain, they are probably going to fail. It is the same thing with a cheap gun belt. 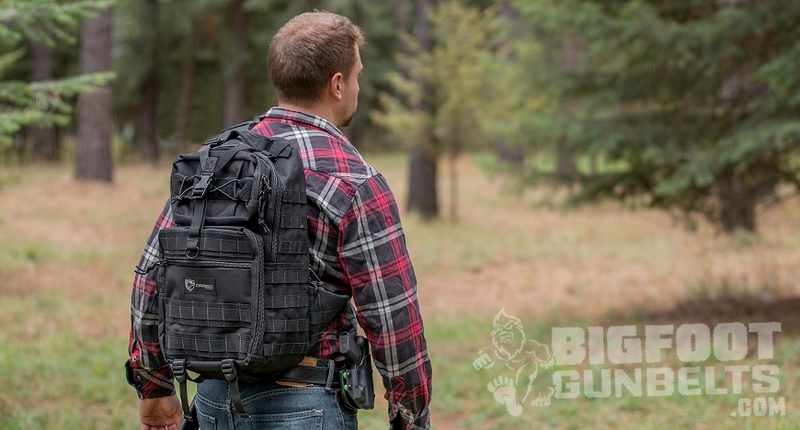 It would hold your gun and holster just fine under ideal circumstances, but as soon as you really need to rely on it, the chances of it failing are much greater than if you had started with a quality gun belt. A lot of people who are new to carrying a handgun, whether they are concealing or open carrying, tend to believe that the gun holster is the most important purchase they need to think about. I am certainly not saying the buying a comfortable and high-quality holster isn’t important. What I am saying is that even the best gun holster can be made to be ineffective when paired with a low quality or just plain bad belt. A quality gun belt is important because it will keep your holster from sagging, won’t start twisting in your belt loops over time, and will offer the reliability that anyone who carries can appreciate. That doesn’t necessarily mean that you have to spend a lot of money to get a quality gun belt. A belt that will keep your holster where you want it and that will offer years of reliable use can be had for around $60. The important thing to remember is to not spend all of your budget that you have left following the purchase of your firearm on an expensive fancy holster. 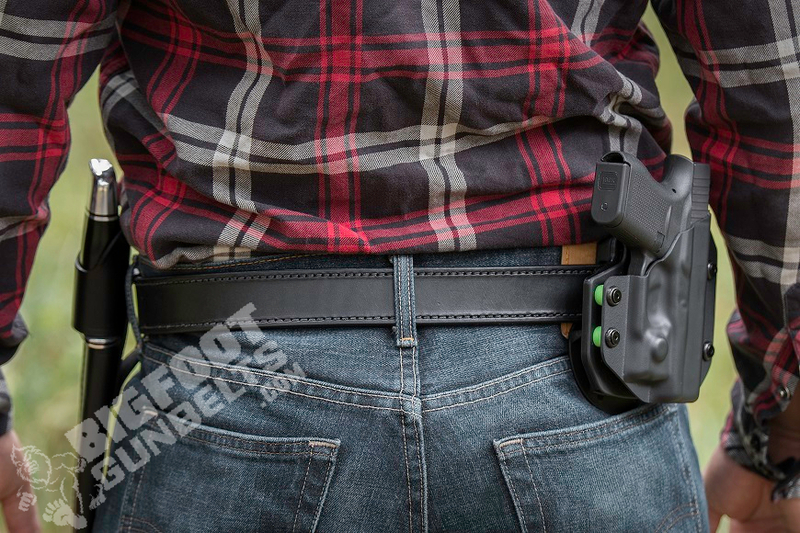 A general rule of thumb is that a decent holster and a quality gun belt makes a better pair than an expensive holster and a cheap belt that was never designed to be used for carrying a weapon. Stiffness and rigidity are two of the features that a quality gun belt will have, we have improved upon this concept as shown in the video above. Whereas a cheap belt from Walmart will be limp and generally made with one ply of leather or whatever other material you may see, a quality gun belt will feature two layers of leather and oftentimes will even have a reinforcing layer in between. Those design features are some of the major differences between a quality gun belt and cheap belt being used as a gun belt. A quality gun belt will also typically be wider so that it completely fills belt loops instead of leaving extra space. The importance of a quality gun belt cannot be understated. They provide a more comfortable all day carry, keep your gun in the position that you are used to drawing it from, and will last much longer than a belt of lower quality.